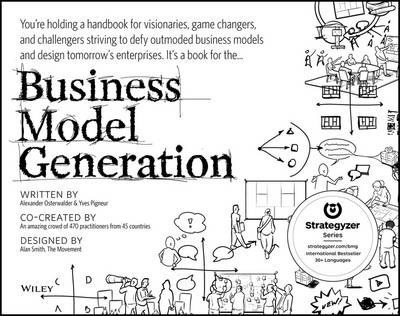 Business Model Generation is a handbook for visionaries, game changers, and challengers striving to defy outmoded business models and design tomorrow’s enterprises. If your organization needs to adapt to harsh new realities, but you don’t yet have a strategy that will get you out in front of your competitors, you need Business Model Generation. It features practical innovation techniques used today by leading consultants and companies worldwide, including 3M, Ericsson, Capgemini, Deloitte, and others.